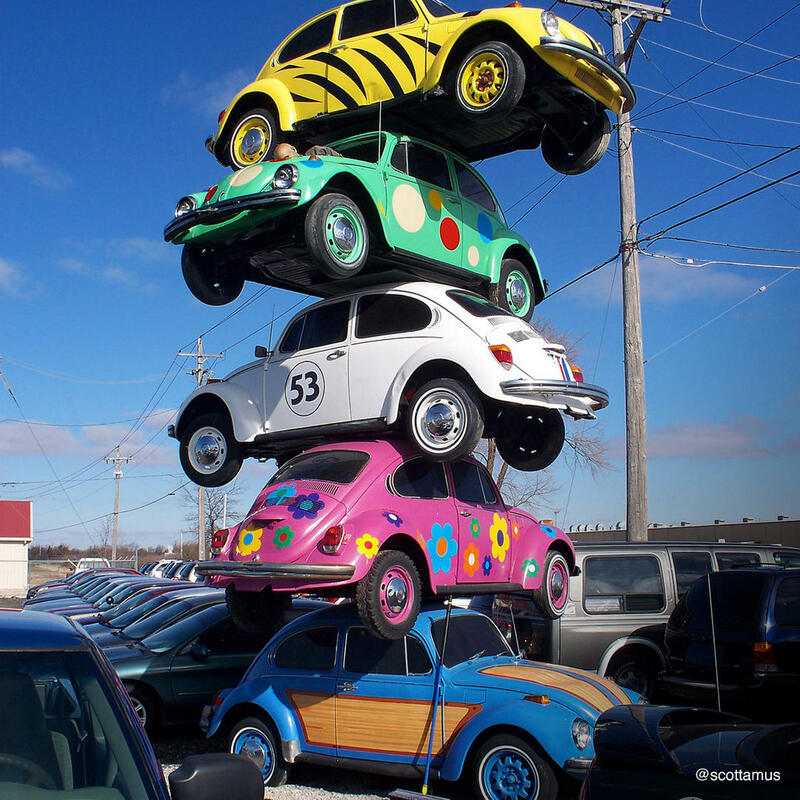 Aptly located in Defiance, OH, the Tower of VW Bugs is an artistic way of recycling cars that are not road-worthy. These 5 VW Bugs placed in the parking lot of a used car dealer are neatly stacked and brightly painted with vivid colors and psychedelic flowers. The bug in the middle was painted to look like Herbie's Love Bug complete with the stripes and the number "53" painted on the hood and doors.